Carbon Taxes: Define a tax rate on greenhouse gas emissions or on the carbon content of fossil fuels. 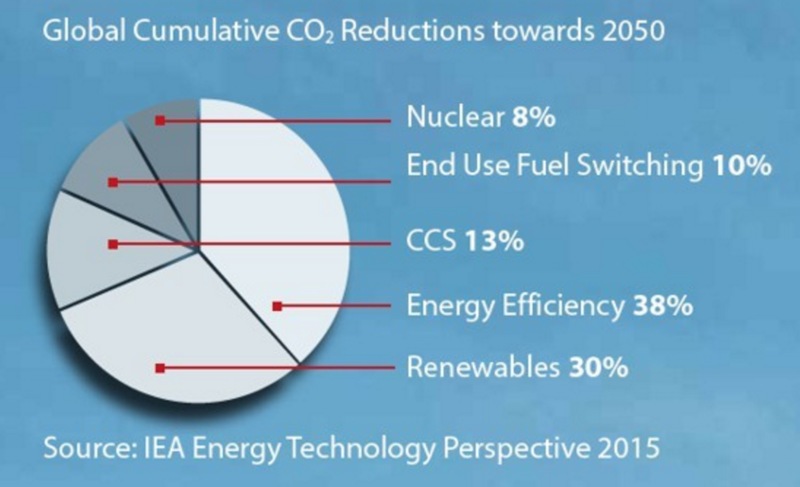 Emission reduction outcome is not predefined, like in ETS, but the carbon price is. 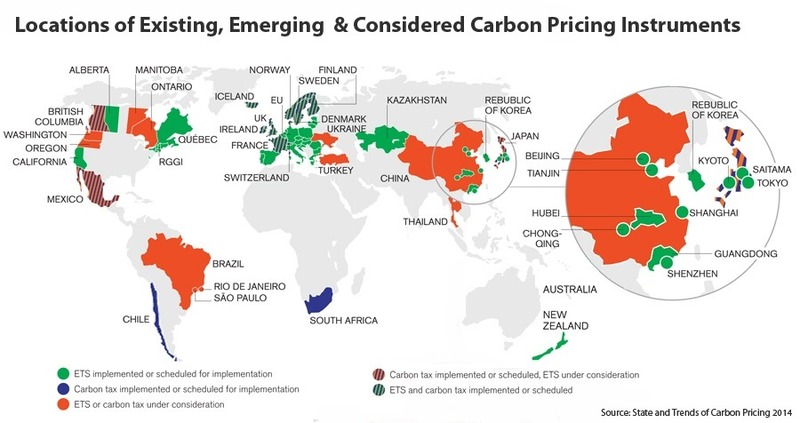 Who is putting a price on carbon? And heard a guy who couldn’t lay his hands on a bottle of water joke with his friend: “The concern to save water is so high at #SIF15 that there is only Coke left in the fridges”.#EnvironmentalParadoxes would definitely be a trendy hashtag at COP21. 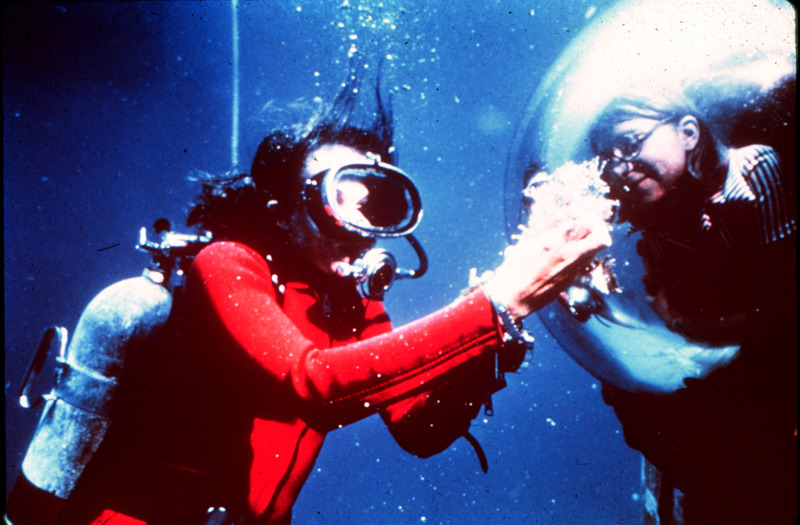 After WiSER, I had the honor of meeting adventurers Sylvia Earle and David de Rothschild. My feet are dead but during moments like this one I find it worth it. IMPORTANT: Sylvia is one of the Future is Clean initiators, which means she helps us find concrete solutions to tackle climate change and promote clean technologies + David will soon be one too! 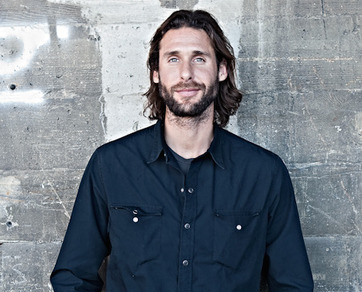 Bertrand was appointed Goodwill Ambassador by the United Nations for their Environmental Program (UNEP). « This nomination is an encouragement to continue showing how many incredible things can be done with renewable energies, but also to implement more energy efficient technologies in our world », he declared. -> Are we all going to have to start eating insects?? -> What are we waiting for? Number of coffees at end of day: 13. That better not bring me bad luck for tomorrow.